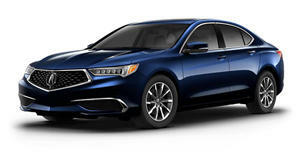 The Acura TLX may not be the first car that springs to mind when you think of luxury sport sedans but Acura is hoping to change that. Just last week, and it has now revealed a new special edition model called the PMC Edition. The 2020 TLX PMC Edition will make its official debut next week at the 2019 New York Auto Show with availability starting in the summer. This special edition model combines the premium features of Acura's Advanced Package with the . It also features the nicest paint Acura has ever offered on a production car with nano pigment technology - which was previously exclusive to the NSX supercar. The TLX PMC Edition will be built in Acura's Performance Manufacturing Center (PMC) in Marysville, Ohio, hence the name 'PMC.' This means the PMC Edition will be hand-built by the same master technicians who hand-assemble the NSX, a fun fact buyers can share with their friends. Pricing starts at around $50,000, which is more than the A-Spec Package ($42,800) and the Advanced Package ($45,950). Since this car includes both packages, highly advanced paint, and will be extremely limited with just 360 units planned, it seems like it will be worth the added cost. Acura will show off a production version of the TLX PMC Edition as well as a concept version of an MDX PMC Edition, which will come at a later time. "We designed the PMC not only to build NSX, but to give Acura the flexibility to explore handcrafted production of limited edition models," said Jon Ikeda, Acura Brand Officer. 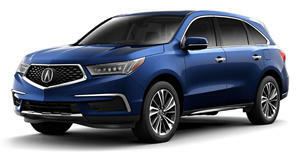 "The TLX and MDX PMC Edition are the first to take advantage of this unique capability, and we intend to explore additional options." So don't count out PMC versions of the RDX or ILX. As you'd expect, the PMC Edition sits atop the TLX range using the 3.5-liter V6 sending 290 horsepower to Super-Handling All-Wheel-Drive. It includes features from the A-Spec Package such as Valencia Red Pearl paint, body-colored grille surrounds, black painted roof, door handles, 19-inch wheels, and lug nuts, body-colored side mirror housings, and dark chrome four-inch dual exhaust finishers. The PMC Edition is differentiated with Milano leather seats with Alcantara inserts and an individually numbered serial plaque. This limited edition also packs plenty of premium features including heated and ventilated front seats, heated rear seats and steering wheel, navigation with Apple CarPlay and Android Auto, ELS Studio premium audio system with 10 speakers, wireless charging, surround-view camera, power folding door mirrors with auto-dimming, front and rear parking sensors, blind spot system, rear cross-traffic monitor, and AcuraWatch suite of safety and driver assistive technologies.